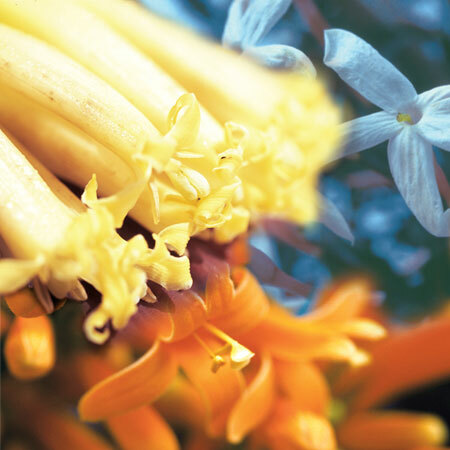 The Love Essence, a mixture of Musa acuminata with Jasminum polyanthum and Pyrostegia ignea (in equal parts), combines three strong flower essences. 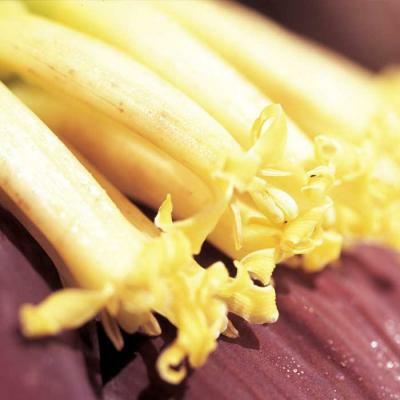 The banana blossom (Musa acuminata) helps us by activating the sexual chakra, the solar plexus and the heart chakra in order to develop and adopt a positive body image. 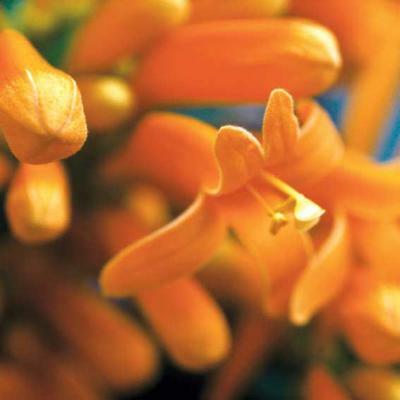 The Flame vine (Pyrostegia ignea) with its orange-red burst of colour also activates the sexual chakra and the solar plexus. The incentive of this essence would be: "Live with all your senses! ", "Affirm your existence! ", "Enjoy your earthly body!". 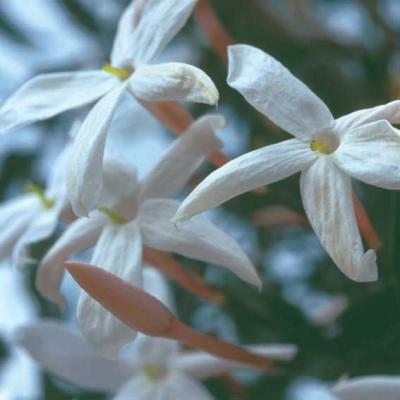 The fine white fragrant jasmine flower (Jasminum polyanthum) adds to the strong earthly, physical and sexual forces of Flame vine and banana blossom, the lack of ease and mixes all three essences together like a whisk. This creates a flow from the bottom to the top and back down again. This also happens in the aura, the chakras, meridians, nadis and even in each cell - assuming we are willing to and able to allow it. Affirmation: Let love flow through you in all forms!